The WWE World Championship is the top title in professional wrestling. The WWE Universal Championship is the new title, meant to be the second most important in the company. But many fans aren’t happy with either championship right now. This shouldn’t be the case of course. WWE has two very capable champions in place that should be able to carry the load and then some. 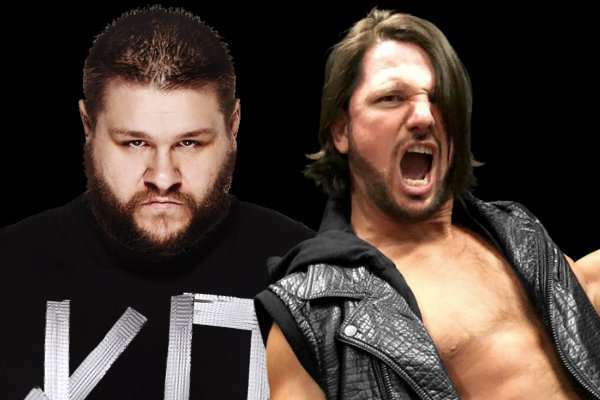 AJ Styles was the best pro wrestler alive to have not been a top guy in WWE, while Kevin Owens was independent wrestling’s best hand that deserved a shot. Now that both men are in place and wearing gold, many of their supporters could not be happier. Working in WWE is the definition of “making it” in the business. Being featured as a top star in WWE is a dream come true. This is the life that both Styles and Owens now lead. But at some point, things have gone a bit off course for both of them. It’s not a dire situation by any means, but it is a cause for concern, especially to those that expected more from both men. As is often the case, it’s the booking in WWE that is to blame for what’s happening. AJ is The Phenomenal One and is arguably the best wrestler in the world. Being WWE world champion is the absolute right place for him because he does indeed deserve the title. There is really no better candidate on SmackDown Live to wear the championship, and AJ is a great fit at the top. However, the top guy on Tuesday nights is in the middle of a top storyline that is dragging on for way too long. The feud with Dean Ambrose was apparently not enough for WWE, so another talent was added to the mix. These things happen sometimes, and it’s often a good idea to flesh out the angle so fans don’t get bored with the feud itself. 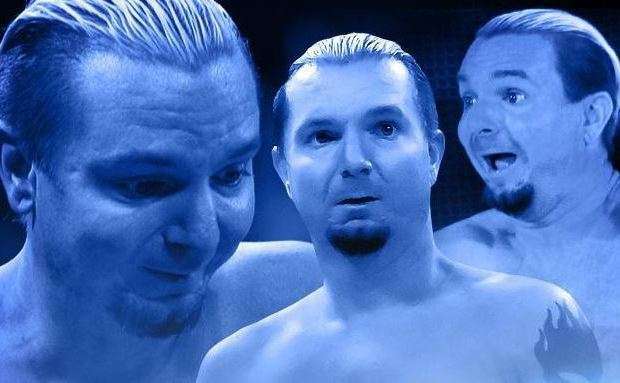 James Ellsworth is a hit on SmackDown Live, but has the time come to wrap up the storyline? But the problem is WWE added a guy that no one had ever heard of. The James Ellsworth experiment has continued on for much longer than perhaps anyone could have predicted, and now he has actually been signed to a WWE contract. It’s not to suggest that Ellsworth doesn’t have a place in WWE. He is a 14-year veteran in the business and has paid his dues to get this opportunity. But to get it at the expense of the most important champion in the industry was something that no one saw coming. Of course, Styles is a team player; if the situation presented to him is reasonable, has a logical direction, and he is comfortable with it, then there’s no reason why it shouldn’t happen. There could be more to this storyline than anyone knows, and maybe AJ is just happy to have fun with it until it wraps up. The notion that WWE is not doing right by him is one that comes directly from the fan base. If that were indeed true, then he would likely not be the champ and he certainly wouldn’t be a top main event star. AJ is a major asset, and WWE definitely recognises that. But the same fans that complain about his booking have a point. WWE’s intention and the fans’ perceived reality are two very different things. The company may not believe it’s doing anything to harm AJ’s reputation or his character, but that is not the way many of the WWE faithful see it. Perception is reality, and fans see this as a dumbing down of the industry’s most talented star. After all, if a nobody like Ellsworth can beat him, then how valuable can he really be? A string of losses and silly situations hurts Styles in the eyes of the fans, and that will affect him in the long run. Then there’s Kevin Owens, who has more than earned a top championship in Vince McMahon’s company. He spent 16 years learning, working, and improving his game. He did everything he could to make it to the big dance, and now he’s there. He’s a throwback to old school pro wrestling, and he’s a great fit as Universal champion. But similar to AJ, KO may not be getting the respect he truly deserves. Since winning the Universal Championship, Owens hasn’t exactly set WWE ablaze with five-star title defences. This is not on him of course, as once again the booking is to blame. Owens’ comedy routine with Chris Jericho is perhaps the most entertaining of any in WWE. In fact, they may be hotter together than The New Day or Enzo Amore and Big Colin Cassady. Fans can’t get enough of KO and Y2J, as every week brings another funny segment to laugh at. But while all of that is happening, KO seems to be making no forward progress. The Universal Championship has no history, no foundation to draw from. The title is only as valuable as the work that’s put into booking it and right now, there’s not much work being done. 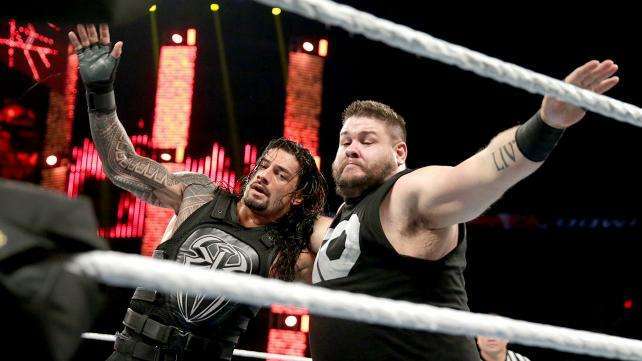 It’s now to the point that Roman Reigns appears to be the next man in line for the championship. A Reigns win over Owens would stop KO in his tracks, and leave fans wondering why he ever held the belt at all. Is he just a placeholder until other storylines pave the way for the next guy to be crowned? Once again, there’s WWE’s version, then there’s the fans’ version. To the company, everything may be progressing quite nicely. In fact, there may not be an obvious issue at all. But to fans, Owens is not the same guy that got to WWE, and he’s certainly not the same guy that used to dominate on the indie circuit. The sad truth is there may be no way to reconcile both sides, and that is likely the case with any scenario that plays out in WWE. The company is going to continue doing what it wants at its own pace, and fans likely won’t have a hand in changing that. But in the meantime, WWE has two great talents that are having two fairly basic title runs. With all of the ability both men have to steal the show, there’s absolutely no reason why they shouldn’t be. Perhaps neither side will ever be on the same page as the other, and that’s enough to drive fans insane. WWE professes to care about what its audience wants. But at the end of the day, moves will be made and matches will be booked according to a seemingly inflexible game plan. If that game plan includes presenting AJ as a delusional heel that is easily duped, so be it. If that game plan also includes presenting KO as a goofy character that cares more about comedy than championships, then that’s how it is. Perception is reality, and unfortunately for the fans, that reality continues to often make no sense at all. Opinion: Kevin Owens turning on The New Day was genius!